Mezco will be releasing some cool new products that are up for pre-order right now. Breaking Bad is on our top toy list, who doesn’t want a Walter White bobble head dressed in a hazmat suit on their car dashboard! 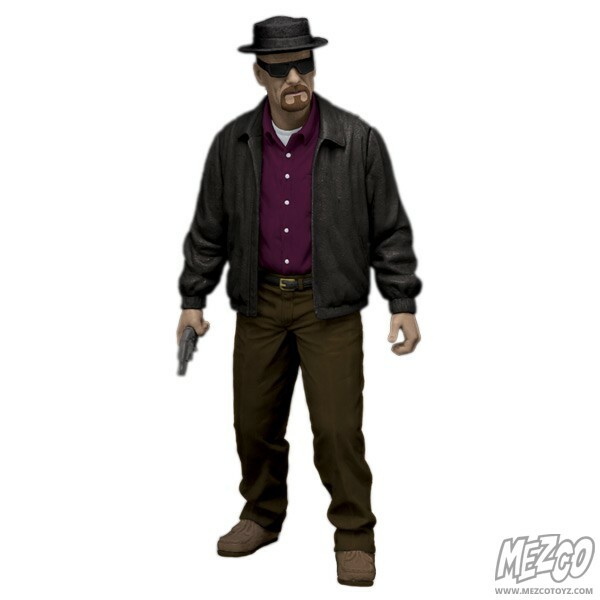 Also, Mezco is releasing two sets of Breaking Bad plush figures, the first set having Walter and Jesse disguised in their typical clothing, and the other set of Walter and Jesse dressed in their hazmat suits with a clip-on attachment, so that you may hang it up somewhere to show off. But, the best figure of the pack has to be the 6-inch action figure of Walter White in his alter ego state Heisenberg (bottom right)! He comes inclusive with a removable hat, removable glasses, a sack of cash, and even a bag of blue crystals! WTF Mezco, are you really adding meth as an accessory on to the toy? Just because of the add on, I can guarantee that this toy will be a great seller, and a must have for Breaking Bad fans. Other products include the Cheetara from thunder cats, a Wonder Woman plush, and a 9-inch creature of the black lagoon for all you horror collectors. McFarlane toys are another vendor that will be releasing new products at this years Toy Fair. 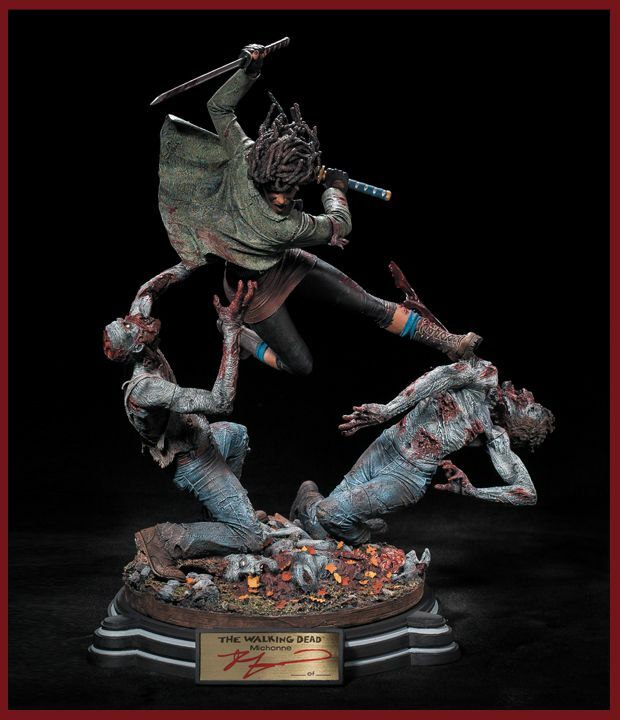 Firstly is the Michonne resin statue that is limited to 1500 pieces and signed by creator of the Walking Dead, Robert Kirkman. This piece of work is extremely detailed down to the very bone, and I mean that literally. Here we see Michonne (left) in the air getting ready to slice and dice two zombie foes! The piece stands a little over 14-inches tall, includes a rotating display base and a certificate of authenticity signed by Todd Mcfarlane himself. Up for pre-order on February 11th and 12th at a whopping 295$ free shipping included! 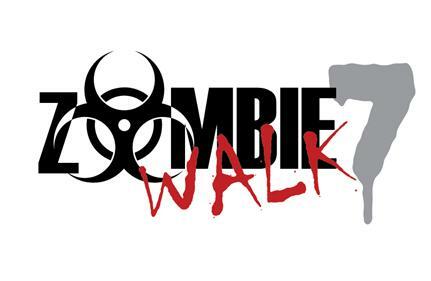 This set is one of a kind and a necessity for all you die hard “Walking Dead” fans. Other toys that will be displayed at the convention include, Assassin Creed 3 series 1 models which is a total of 7 figures altogether, and the first line of Halo 4 action figures that will be released later this year by Mcfarlane Toys. Lego will be showcasing some awesome new collections at the upcoming 2013 Toy Fair. 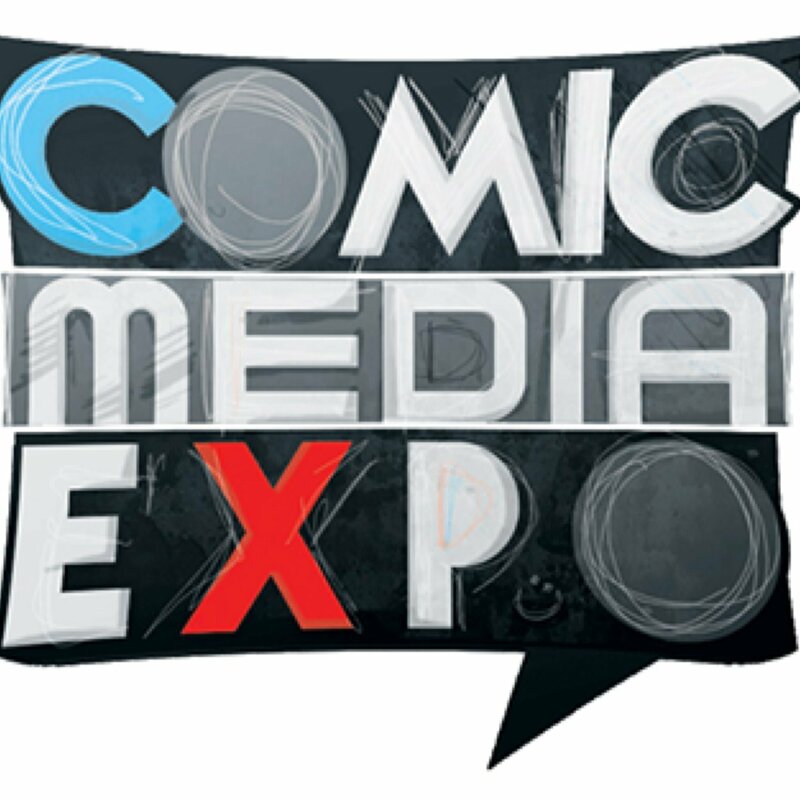 Lego sets that will be displayed at the convention are Iron Man 3, Man of Steel, and The Lone Ranger movie adaptation sets. For Iron Man 3, Lego will be releasing a Malibu Mansion Attack set and a Iron man vs. the Mandarin set. This will be the first time Iron Man will be purchasable as a Lego figure! 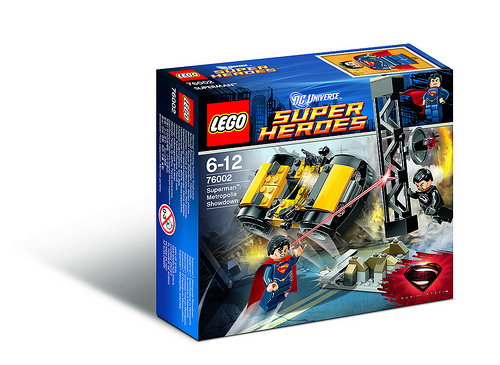 Also, coming out from Lego is a combination of Zack Snyder’s Man of Steel packages. Sets announced are 76002 Superman Metropolis showdown, (shown to the right) 76003 Battle of Smallville, and 76009 Superman Black Zero Escape, which all include Superman and Zod figures! Another first time Lego movie title to be showcased at Toy Fair 2013 are two Lone Ranger sets. The first called the Stagecoach Escape set no. 79108 and the other titled as Constitution Train Chase set no. 79111. Lego keeping this very hush hush, with barley any photos of these upcoming Lego movie adaptions sets on the web. After tomorrow, I can guarantee that these sets will be swarming the internet. 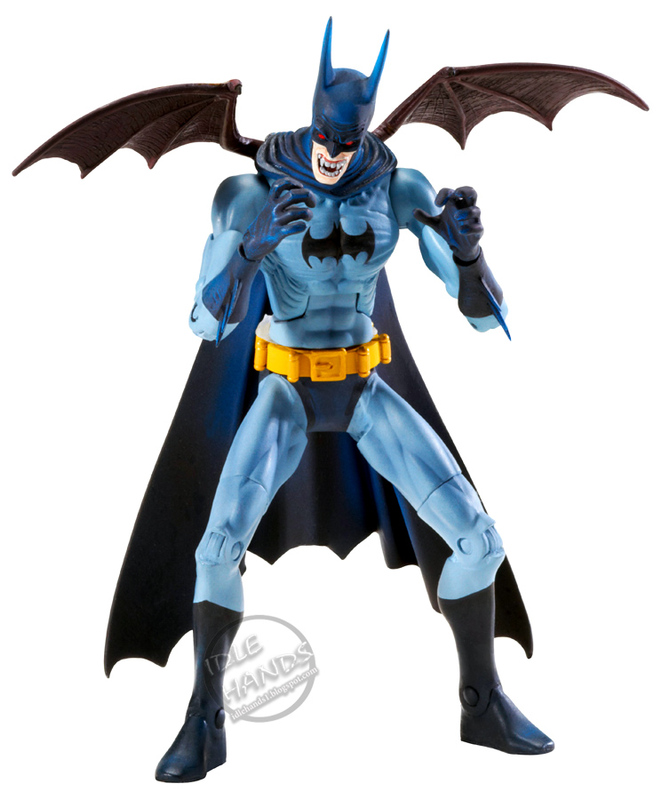 Mattel is pushing a new line of DC action figures ranging from Batman to Superman figures from the new comic book series The New52. Photo (right) courtesy of Ebay vendor ws_toys, shows us the final product of a Batman Mattel action figures that will be released later this year. First off a new line of “DC Unlimited” Wave 2 will be showcased at the upcoming convention. This includes an awesome Wonder Woman action figure as well as a glossy shiny Batman from the new “Injustice” line: Gods Among Us. Other figures in cluded in the Injustice line, but yet to be revealed are Hawkman and Flash. Also, the Next wave of “DC Unlimited” has been announced as well. Wave 3 includes a new superman figure from the injustice series, as well as a Darkseid and Aquaman figure will be part of the wave 3 series from the New52. In April, Mattel will release some more awesome batman figures from the “Batman Unlimited” line, which will include a Batgirl, and Vampire Batman (right). Mattel being one of the biggest vendors at the convention, these are only a handful of products that will be debuted at Toy Fair 2013. And of course here at the Teknosquid we’ve saved the best for last, Hasbro will be showing off their new line of toys from Transformers, G.I. Joe figures, Angry Bird products, Star Trek, My Little Pony for all you Jabronies, Marvel’s Iron Man 3 figures and of course a new wave of Star Wars Action figures. Hasbro has by far the biggest line of new titles, ranging from Action figures, Board game sets and even NERF blasters. This makes sense since they are the biggest toy vendor in the country, dominating the competition with a wide range of products. Hasbro will be releasing it’s new line of Transformers, called the “Beast Hunters” which is derived from the animated television series “Transformers Prime”, this also means that Autobots, Decepticons and even Predacons transformers will be released with this new line of transformers, since theses are the main adversaries of the Autobots in the television show. 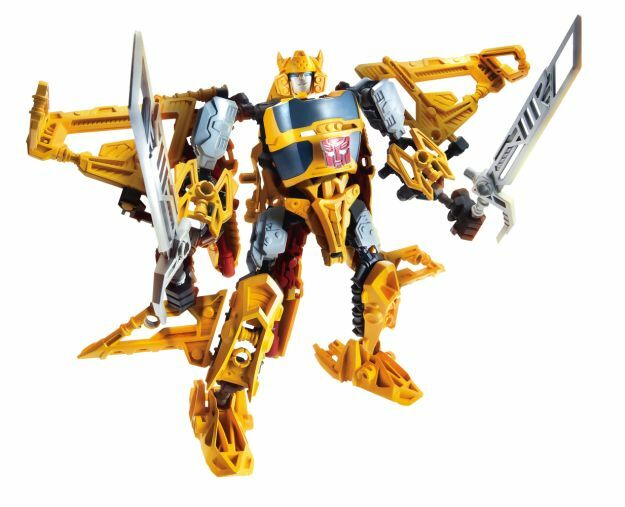 Another product that Hasbro is to debut at the Toy Fair Convention is the new line of Transformers Constructive Bots, which allows players to literally build transformers themselves, including a new feature that allows customization and convertibility of the transformer toy. Here is a picture of what this new line of Transformers Constructive Bots are going to look like (right). 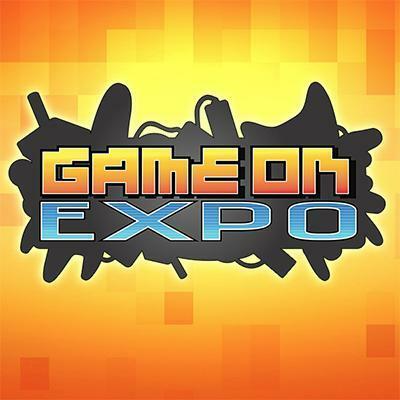 Well Toy Fair is tomorrow and some awesome toys will be debuted at the convention. Though I only listed a handful of toys to be on display at the fair what toys are you looking forward too? Previous Previous post: Playstation Store New Content!